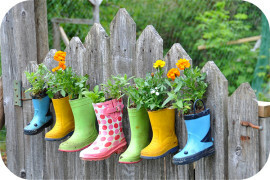 The simplest way to beautify a big, open (empty) deck is with some planters filled with flowers and/or plants. 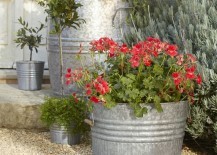 But there’s a lot of same-old, same-old when it comes to planters, which are usually large round ceramic pots (yawn). 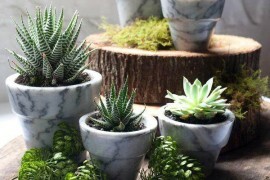 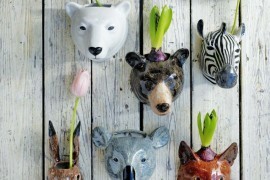 But plants can live in all kinds of homes, from DIY upcycled vintage pieces to containers meant for other uses. 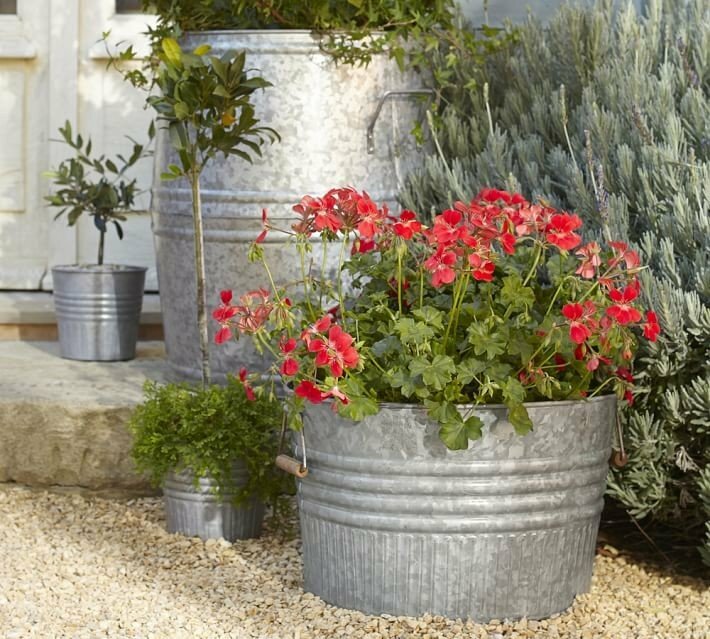 So forget what the garden store has on offer and use found wood, a metal bucket, an old chandelier or maybe even a concrete block to create a truly interesting home for your flora. 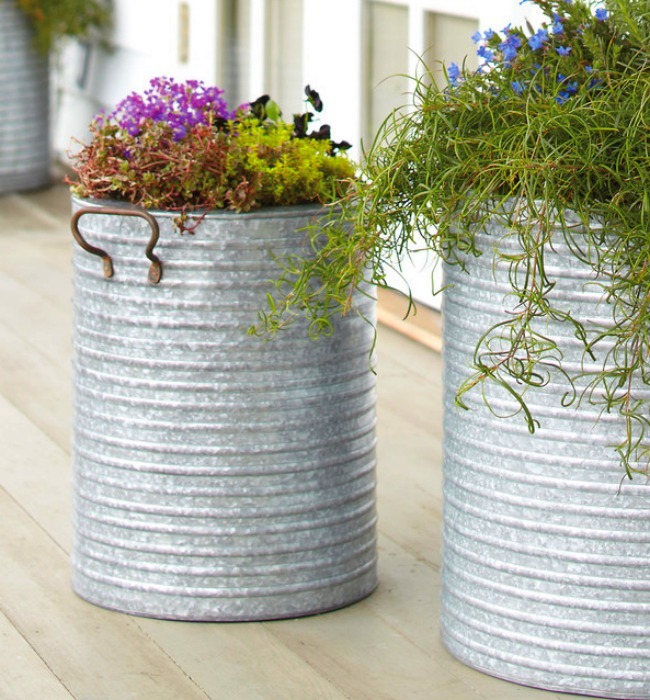 Galvanized metal has been protected from rusting with a special coating, making it ideal for planters, as they will last for years in outdoor conditions. 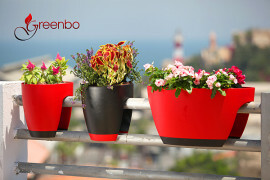 In the pretty collection above, buckets and tubs take on a new life as matching planters on a patio. 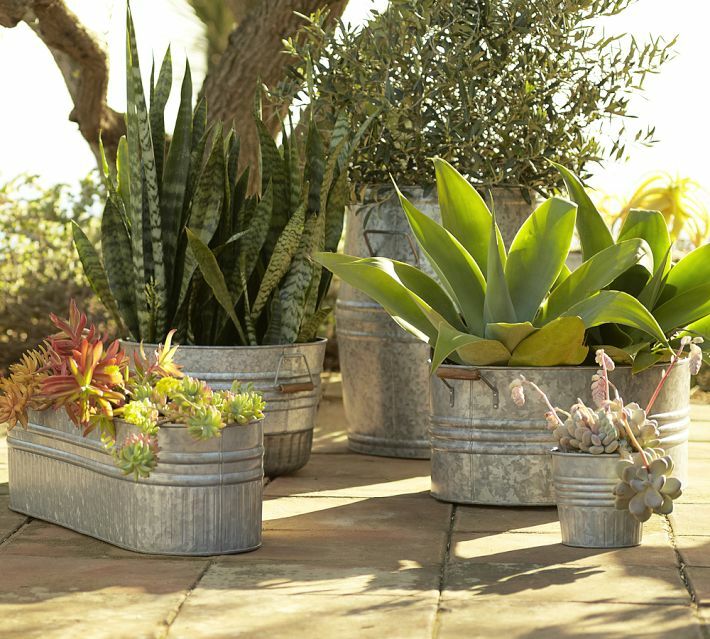 Galvanized metal reminds most of us of farms and rural living—so play up the contrast between its reputation and what you use it for by filling a planter with delicate, unusual plants, as shown here. 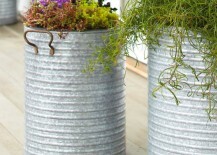 Galvanized metal containers come in a huge variety of sizes, from small pails and cans, to larger storage containers like barrels. 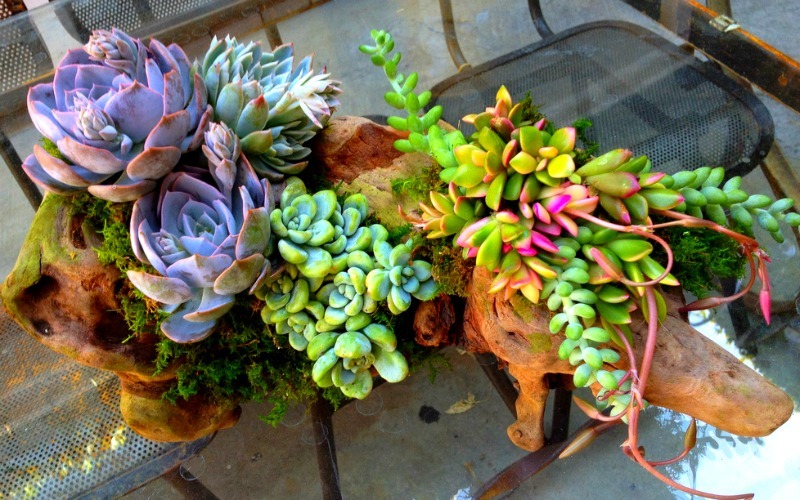 Mix and match for effect and keep plants with similar water needs together. 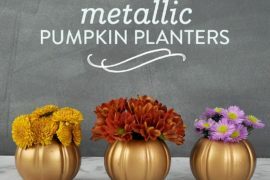 It can be easy to get this one wrong. 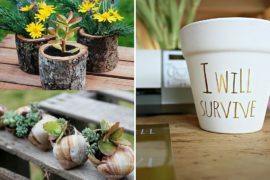 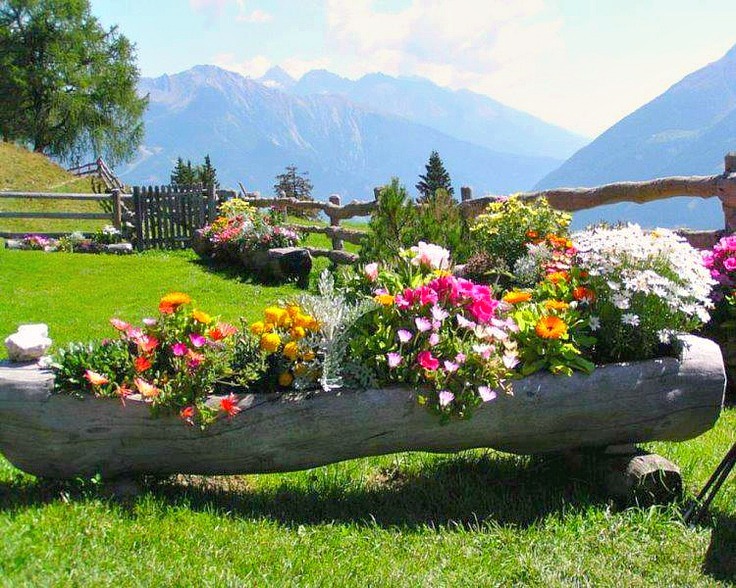 What you need to keep in mind is that you want to find a good-looking piece of wood or a log to use as a planter—not just any random dead wood will do. 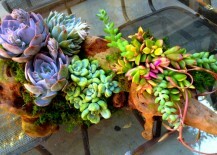 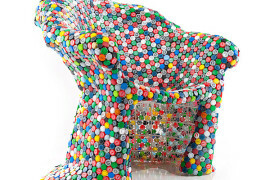 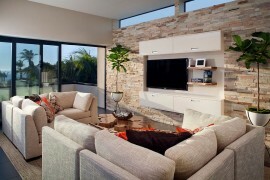 Once you have found a pretty piece, be sure to work with its existing curves and gaps. 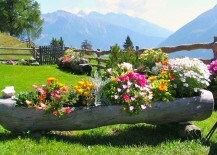 You can either cut a space into the log (like in the example above) or utilize the log’s natural hollows for the plants. 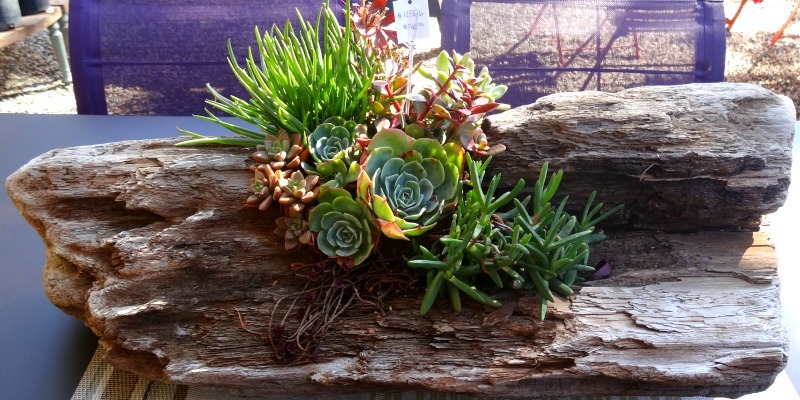 Wood planters work especially well for dry-loving plants like succulents, since they don’t need as much watering (which means the wood won’t rot as quickly and will last longer). 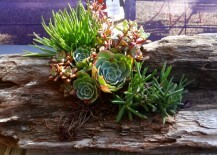 This petite driftwood planter would be ideal for a smaller outdoor space or as a centerpiece for a garden table. 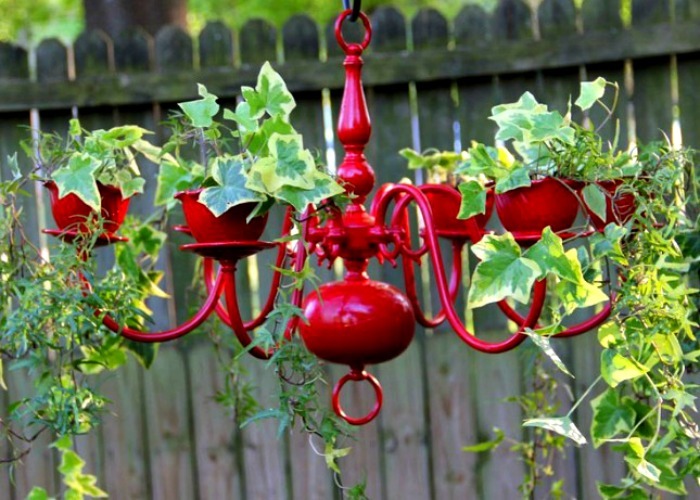 This is a super-fun and creative way to upcycle a chandelier that you love the look of, but which might not fit into the decor of your home. 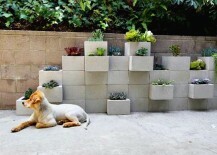 Why not bring it outside? 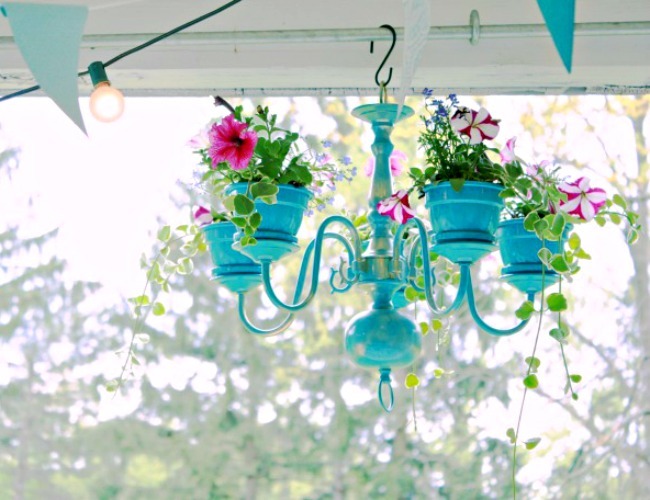 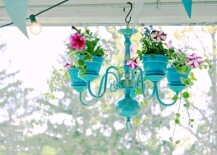 Want to make one of these hanging beauties yourself? 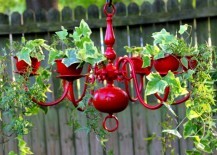 This is a not-too-hard DIY project, and the site DIY Showoff has the step-by-step directions. 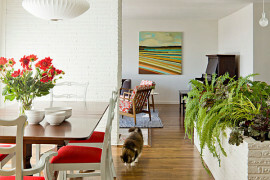 Of course, you don’t have to go vintage—how about a more modern conversion? 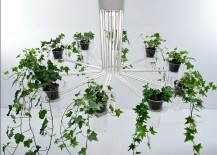 This planter by Gumdesign gives the impression that the ivy is just floating in midair. 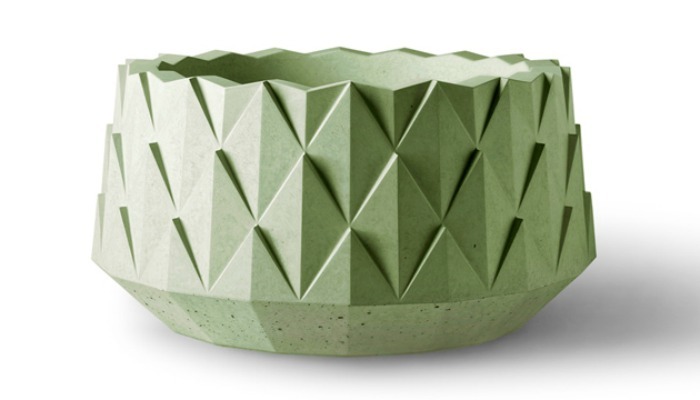 The cool thing about concrete is that it can be made into almost any shape you can think of—or just left to its own simple, urban-tough style. 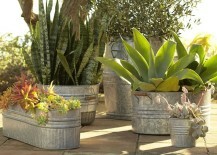 This gorgeous planter by Kornegay Design takes its design inspiration from the agave plant. 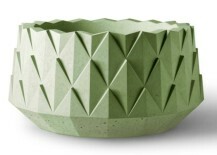 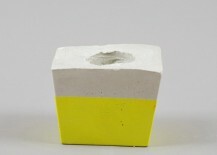 This Sarai planter is handmade in Australia, but looks almost like it fell off the back of a builder’s truck. You can DIY concrete planters too—like this one originally featured on Apartment Therapy, which was created with cinderblocks, liquid nails, and a great eye.